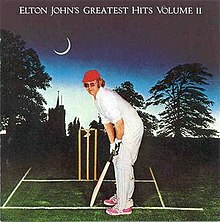 ELTON JOHN: GREATEST HITS VOLUME II: 1977: 4 STARS OUT OF 5 STARS: Elton had a lot of hits in the 70s- enough that by 1977 he already had two volumes of greatest hits albums out. Again as with a lot of these 1970’s greatest hits- fine at the time but have long been replaced in the CD era by more complete packages so deducted a star. Elton sure was a hit making machine in the 70′. 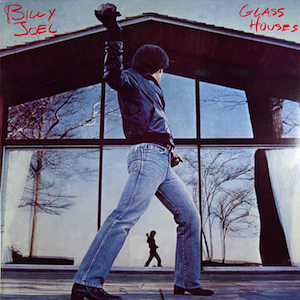 BILLY JOEL” GLASS HOUSES: 1980: 4 STARS OUT OF 5 STARS: From one piano man to another. Joel was on a hot streak at this point with big selling albums and hit songs. I am thinking The Stranger certainly and 52nd were better than this one but it’s still good pop music. 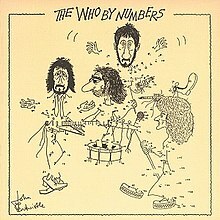 THE WHO: THE WHO BY NUMBERS: 1975: 5 STARS OUT OF 5 STARS: My vote for most underrrated album by The Who. It is the last one they did that I would give 5 stars. Squeeze Box which was the hit- is the least song on the album I think. As people have said before this could have been a Pete Townshend solo effort- it reminds me in places of Empty Glass which came out in 1980. PAUL MCCARTNEY: EGYPT STATION: 2018: 5 STARS OUT OF 5 STARS: OK I am sold on this album- I like the albums of original songs Paul has released this century-maybe I am in a minority in saying that -and I think this is the best. He really promoted it hard- and maybe that was because he was proud of his accomplishment and wanted it heard? Strong musically and lyrically. Sure his voice isn’t what it was 40 years ago but for a 76 year old he’s sounding pretty good. Favorite song is Dominoes. The only songs I don’t care that much for are Fuh You, Caesar’s Rock and Back In Brazil. 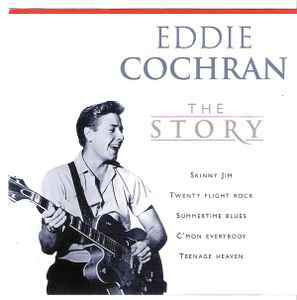 EDDIE COCHRAN: THE STORY: 2000: 5 STARS OUT OF 5 STARS: Cochran was killed at the age of 21 while touring in England. A short career and life but he was a big influence on many including my Beatles. On the greatest day in history-July 6, 1957- the day John met Paul- the first song Paul played for John was Cochran’s Twenty Flight Rock- impressing John by being able to play the song on guitar. Summertime Blues, C’mon Everybody, Somethin’ Else- also classics. PAUL MCCARTNEY: EGYPT STATION: 2018: 5 STARS OUT OF 5 STARS: Had to play this a second time today. 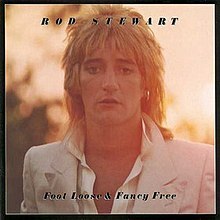 ROD STEWART: FOOT LOOSE& FANCY FREE: 1977: 4 STARS OUT OF 5 STARS: Three hit singles- You’re In My Heart, Hot Legs and I Was Only Joking-which is my favorite song on the album. Rod had yet to fully jump the shark but the signs of course were there for what was to come- the decline. 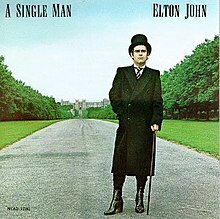 ELTON JOHN: A SINGLE MAN: 1978: 2 STARS OUT OF 5 STARS: In high school my friend Randy’s favorite artist was Elton John. He was always talking about how great Elton was. For some reason when this album came out it became my first Elton album- what a time to get on board- the sink was sinking at least for the time being. After great success in the 70’s this one was a turkey. The only Elton album that didn’t have a Bernie Taupin song on it. This was also the first Elton album released in the USSR! Part Time Love the only hit on the album. I don’t think I have listened to this since the 1970’s. Just got McCartney’s album this week but haven’t listened to it yet. Glad to hear what you said. I think you will like it- it grows on me more with each listen. Even the few songs I am lukewarm on right now- could end up growing on me. I’ve seen him interviewed about it with Jimmy Fallon on youtube and Jimmy said something like it was a mini concept album…with Paul agreeing. I was thinking this morning- Paul is 76 and touring next year- all these acts seem to be doing Farewell Tours- Kiss- Seger- Fleetwood Mac- I am sure I am missing someone- obviously Paul has no such plans….and also what is the greatest album released in rock- by someone over 75? Not a whole lot of choices with a rock album over 75…I never thought of that. Blues yes rock no….